One of my favorite times of the year is Fall. The weather is perfect and all the colors I love are everywhere! 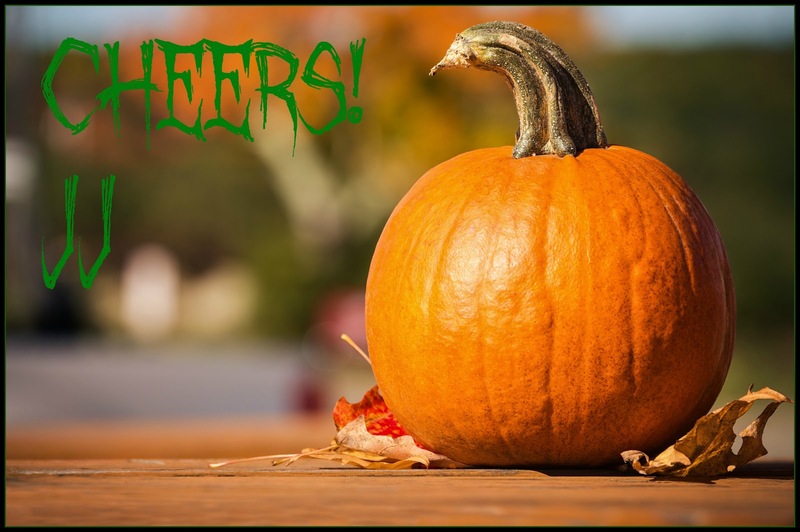 Fall brings out the foods that warm our hearts and souls. 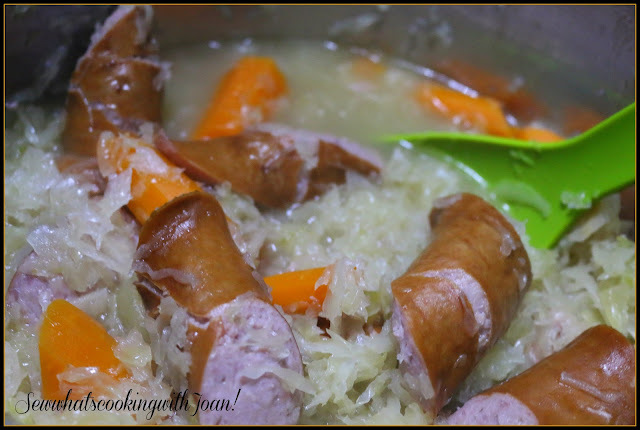 Sauerkraut is a dish most folks either love or hate. I know I wasn’t a fan as a kid but it’s grown on me over the years. 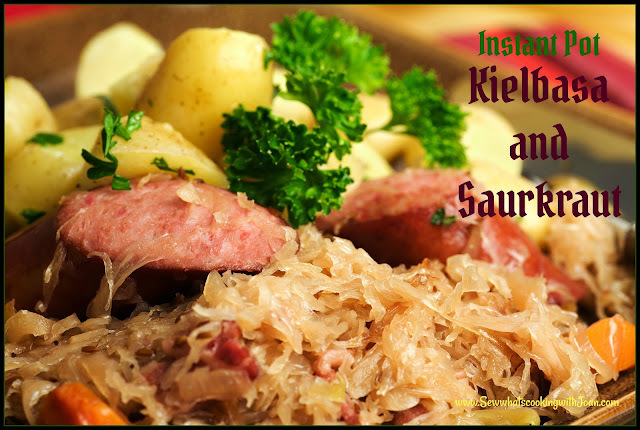 This instant pot kielbasa and sauerkraut recipe is a very simple dish that easy to toss together.I tossed it together on a "glamping" trip recently and everyone loved it! I cooked the potatoes separately in the IP, and Amy fried them with onions for a side, however, they can be cooked in the same pot. Kielbasa is a Polish sausage that can be found in most supermarkets in the US. The smoked sausage is usually made with beef, pork, or turkey. The word "kielbasa" means "sausage" in Polish. Put everything in the Instant Pot, stir it up! Put the lid on the Instant Pot and set the valve to seal. Press "Manual", make sure it is set to high pressure, adjust the time to 10 minutes. Natural Pressure Release ten minutes. Release remaining pressure, turning the valve to release. Carefully open the lid and stir. 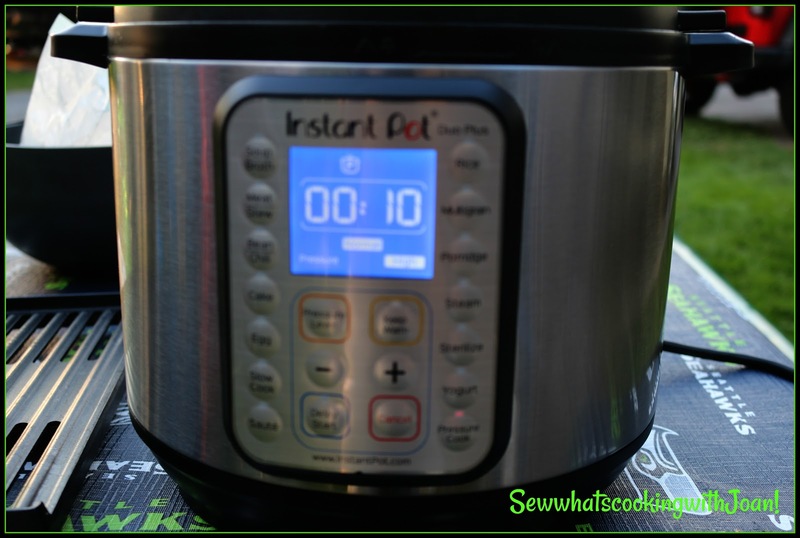 For more Instant Pot Recipes click on Master Recipe List! Some chilli and ginger will be good? My husband loves spicy food. I will try this recipe out. Bookmark to share with my friends. Look yummy. Can't wait to try this out. Love to cook for my husband. Thanks for your sharing this recipe. It looks yummy. 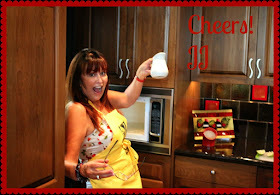 Thanks for sharing great recipes. 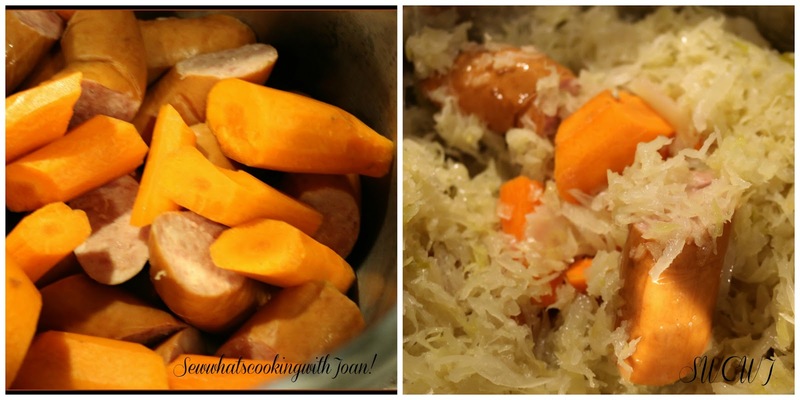 This instant pot made me realize the great Saurkraut and Kielbasa. This weekend I will make more exciting dishes to enjoy with family. Thank you for sharing.